Candidates looking for UGC NET Tourism Administration and Management Answer Key 2018 for the December exam can get it from this page. Various reputed coaching centers publish the memory based answer key. 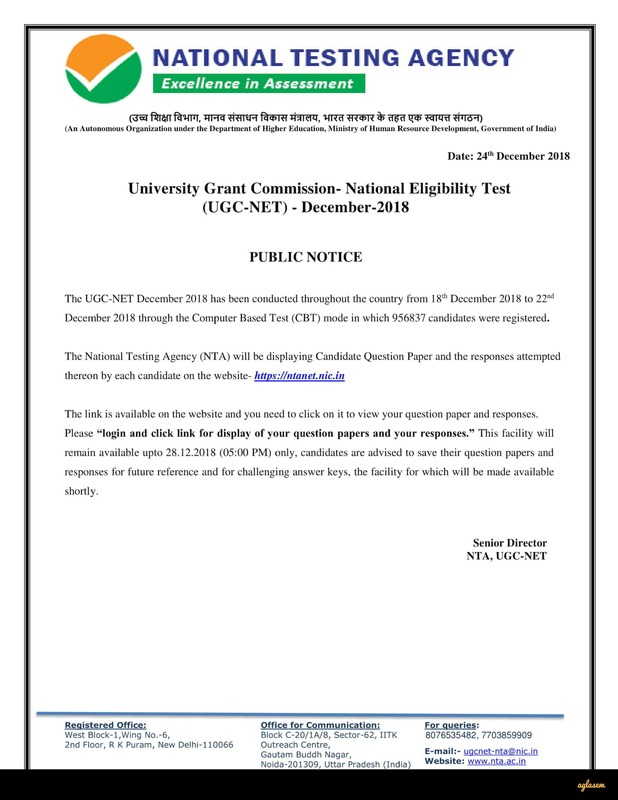 NTA publishes the official UGC NET Answer Key 2018 at the official website i.e. ntanet.nic.in. The candidates get the official UGC NET Tourism Administration and Management Answer Key 2018, 3-4 days later the exam. For estimating the correct scores from the answer key candidates have to follow the marking scheme. To know more about UGC NET Tourism Administration and Management Answer Key 2018, keep on reading the details on this page. NTA has released UGC NET Tourism Administration and Management question paper and responses on December 25, 2018. Candidates can check and submit objections until December 28, 2018. View UGC NET Tourism Administration and Management Question Paper And Response: Click here to login and check NTA NET 2018 question paper and responses. How to Calculate Score Using UGC NET Tourism Administration and Management Answer Key 2018? To calculate the score using the answer key of UGC NET Tourism Administration and Management 2018, the candidates will have to cross-check the answers in the key with that marked in the examination and then add/subtract score as per the marking scheme. The marking scheme for Paper 1 is that the candidates will get 2 marks for each correct answer. In all, there will be 50 questions and no negative marking will be done for choosing incorrect answer option. Similarly, each question in Paper 2 will also be of 2 marks. However, the total number of questions in this section is 100. Negative marking is not applicable.